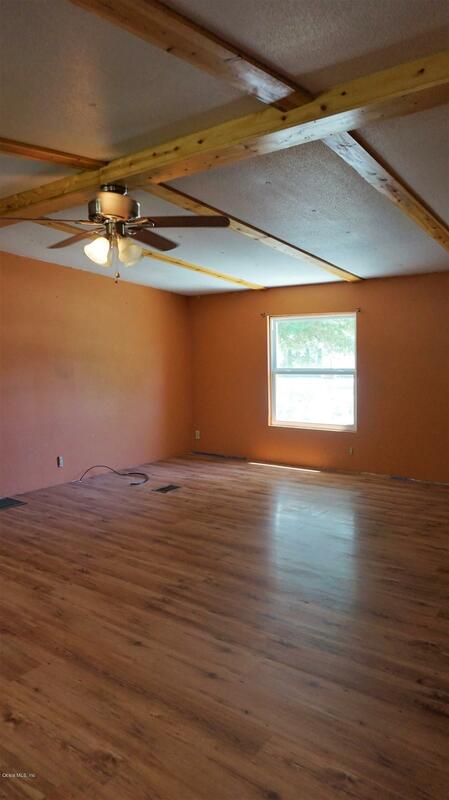 Remodeled home - Updates include kitchen cabinets and countertops, tiled backsplash, wood laminate flooring throughout, upgraded insulated windows, new water heater in 2018, insulated metal roof in 2011. Both bathrooms have been remodeled with extra large showers and new vanities. 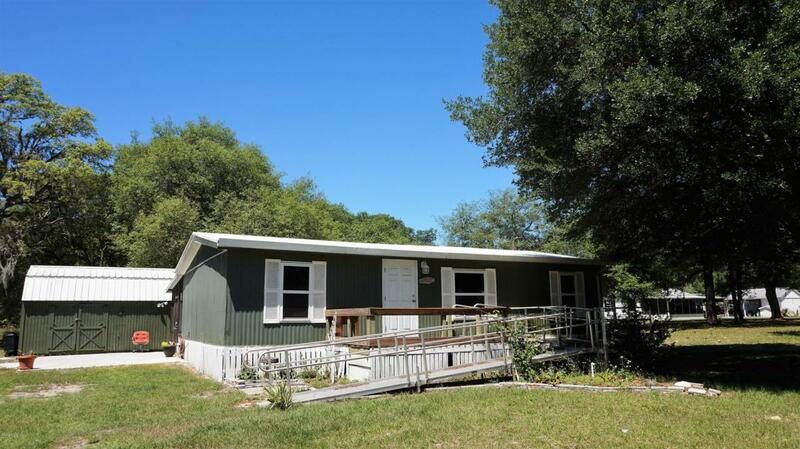 Home is wheelchair accessible with handicap ramp on front, wide doors and wide entry showers. Large rear screened porch, open concrete patio for cookouts, workshop with electric plus separate utility shed. 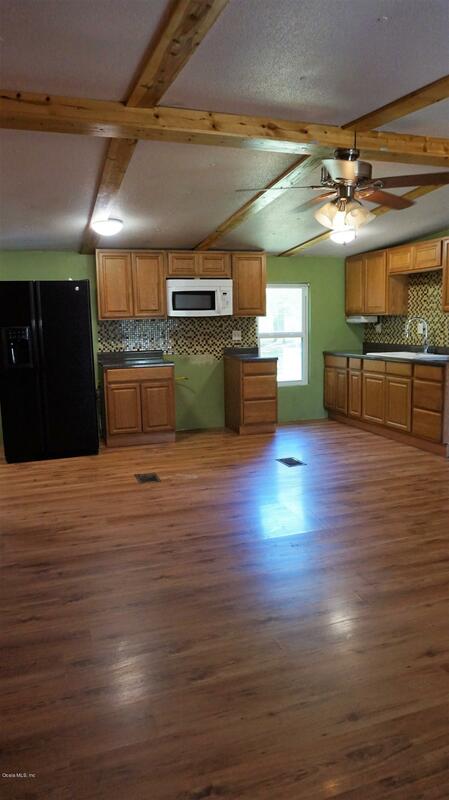 Only 4 miles to Dollar General and other conveniences, 17 miles to Walmart. Public boat ramp on the Ocklawaha River only a mile away.